Booktalk: What truck do you need when you want to make a new sidewalk? A concrete mixer! 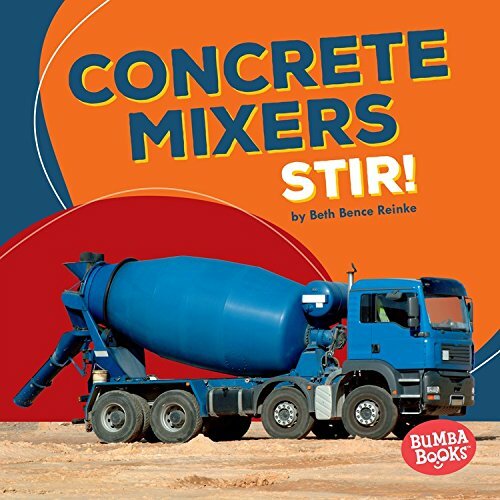 Concrete mixers bring concrete to construction sites. 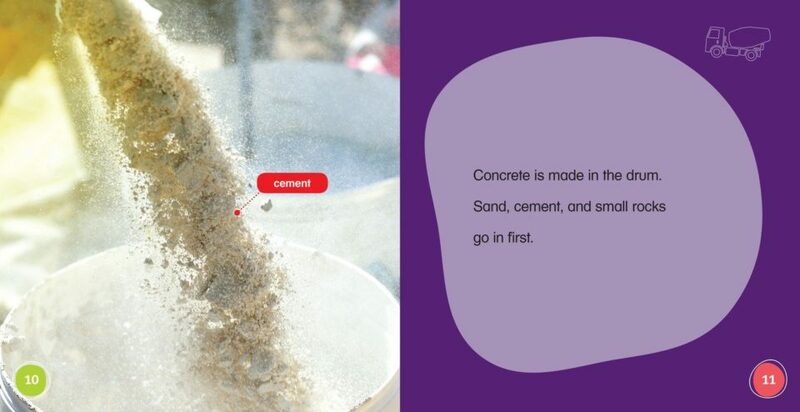 From a goopy mixture to dry concrete, concrete mixers are there to help. Copyright © 2017 Anastasia Suen All Rights Reserved. One can never have too many bug books, right? So while it’s bug season, I’ll be reviewing the buggy books in my basket. Okay, we can handle that. Just puff a breath of air on it to get it moving. Now, back to reading. Yikes! now there’s a snake slithering across the page. What I like about this book: it invites readers to tilt the book (so the snake slides back into the grass), to nudge a bug, to be patient while a slug meanders across the page. 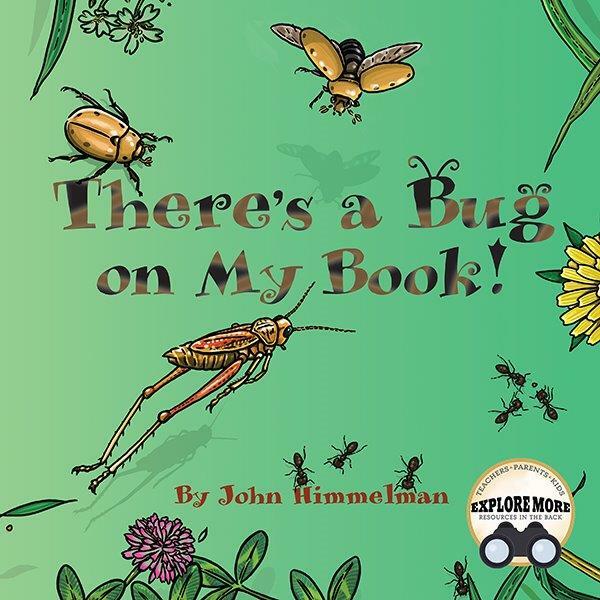 At the same time, John Himmelman shares observations about the insects, spiders, worms, and other …. what’s that? A frog just plopped onto the page! Another thing I like about this book is the back matter. Four Pages! That’s where you learn more about each critter that slithered, slimed, hopped, wiggled, and plopped across the pages of the book. There are also activities that explore how bugs move, habitat, and “design a bug”. Easy to read and understand, the text describes the life of a honey bee. There’s nectar-collecting, loading up the pollen baskets (which, we learn, can be a messy job), and carting the food back home. The hive is a busy place, with so many sisters and a queen, and there’s lots of work to do in hive as well. We see the bee life cycle, meet a newly emerged bee who is immediately given a task: clean your room! Back matter includes more details about honey, pollination, the waggle dance, and a maze. This is a fun, browsable book with a table of contents so you can find what you’re looking for fast (if you want). Sections include smartest bugs, communication, special senses, builders, tool users, teamwork, migration, and special skills. You’ll discover maze-solving spiders, dragonfly flight instruments, and which bug can leap tall buildings in a single jump. Text is accompanied by cartoons and photos. Looking for Bug Activities? Head over to Archimedes Notebook to check out these Wednesday Explorers Club posts about Hummingbird Moths and Smelly Bee Feet. Copyright © 2017 Sue Heavenrich All Rights Reserved. 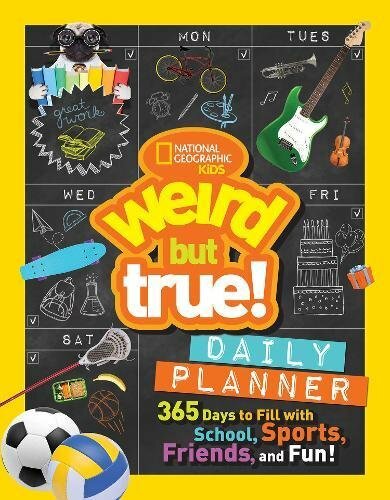 Weird But True Daily Planner: 365 Days to Fill With School, Sports, Friends, and Fun! Booktalk: Just in time for back to school! Prepare to be amazed each day with weird-but-true facts that will impress your friends and stump your parents. Turn the page in this spiral-bound book and record your school work, keep track of activities, and plan your social life, all while learning wild and wacky things about the world around you! Outside, you are rarely more than six feet away from a spider. Vampire bats are the only mammals to have a blood-only diet. 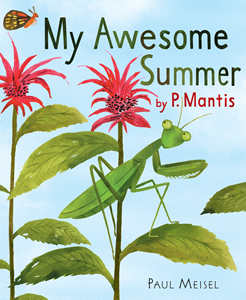 P. Mantis had a wonderful summer, full of bird-watching, hide-and-seek, fine food, sibling rivalry, and flight lessons. There are a few scary moment, like the time she almost got eaten by a bat, and narrowly escaping spider webs. But for the most part it was a summer to remember. All the aphids are gone. I’m hungry. Growing so fast! I ate one of my brothers. Okay, maybe two. Fine dining? Or sibling rivalry? Sometimes it’s hard to tell the difference. P. Mantis also reveals her most important trick: how to be still and look like a stick. This gets her out of a lot of dicey situations. I also like love that what would usually go into back matter has been put on the end papers. Small-ish chunks of information about praying mantises and their ecology are accompanied by illustrations. The end pages are where you learn what mantises like to eat, how they use camouflage to hide from predators, flight, and laying eggs. That’s where cool websites are and a very tiny glossary. I like the cover, too. Who can ignore a face like Mantis’s? Plus the monarda! Heading out to my garden to see if any of her cousins are hanging out amongst my flowers right now! 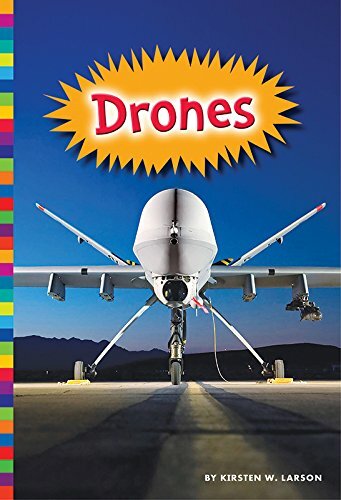 Booktalk: Discover the technological history that led to today’s drones, also known as unmanned aerial vehicles (UAVs), and what makes a drone a robot or simply a remote control plane. A tiny plane flies over a herd of rhinos. Using its cameras, it scans for poachers. Poachers kill rhinos for their horns. When the plane spots a poacher, it alerts park rangers. They get the bad guys. Gotcha! her face was bleeding. It even hurt for her to breathe. When I’m at the grocery store, I’m a fan of the 2 for 1 deal. In my parts, it’s known as a BOGO (Buy One, Get One). Why not enjoy two of something for the price of one? How about 3 for 1? What does this have to do with Beauty and the Beak? I mention the BOGO because Beauty is really three books to me, which makes it a valuable resource for readers and teachers. The first part of the book is like an informational text about bald eagles, but in the form of a narrative. Busting the eggshell that holds her in, an eaglet depends on a tuck-in from her mother to protect her from the cold Alaskan wind that comes off the river. In a month, she will be able to stand and tear food with her beak. The beak comes in handy as the eaglet takes care of her feathers. One of the things I learned about eagles was how they shift their feathers to warm up or cool down. Like me adjusting the thermostat in winter against my family’s wishes. They also use oil from a gland near their tails to waterproof their feathers. These are the kinds of facts that hook young readers. Come summer time, the now young eagle will test her wings and find food from the river. The narrative shifts when Beauty, the eagle, has her beak shattered by a bullet. Now readers are drawn into the struggle as Beauty, no longer able to fly or hunt, lingers near death until she is found by a policeman who takes her to a wildlife center. A raptor biologist takes Beauty home to her raptor center and tells people about this injured eagle. One of the people who hears the story is an engineer who thinks he can build a prosthetic beak using a 3-D printer. After many hours of work building the beak and a complicated surgery, Beauty is fitted with a golden yellow beak. The third part of Beauty and the Beak is sixteen pages of excellent back matter. There’s a Q&A that gives further information about Beauty’s life today and about the use of prosthetic devices. Several more pages of information about eagles are included with a note from the raptor biologist, Janie Veltkamp, who took care of Beauty. At the end are four pages of resources and activities that will be a great help in doing further research. Loaded with information wrapped around an engaging animal story, this is definitely a book that you will want to add to your nonfiction library. Here’s a link to educator resources connected to Beauty and the Beak. People who read my Archimedes Notebook blog know that I love bugs. Ants, bumble bees, clear-winged hummingbird moths, beetles of all colors and kinds! 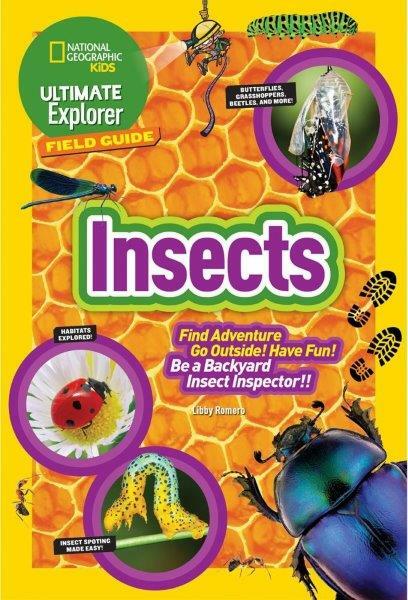 And I found a cool field guide perfect for kids who want to learn more about insects. This is so much more than a field guide. 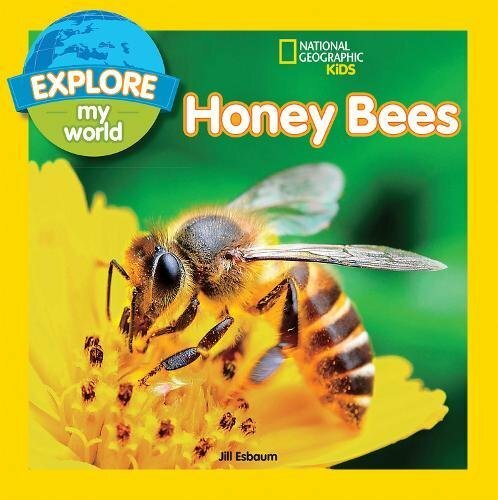 Introductory pages tell where to find insects, how to be safe around insects (avoiding stings, bites, and defensive chemicals), and how to protect insects. 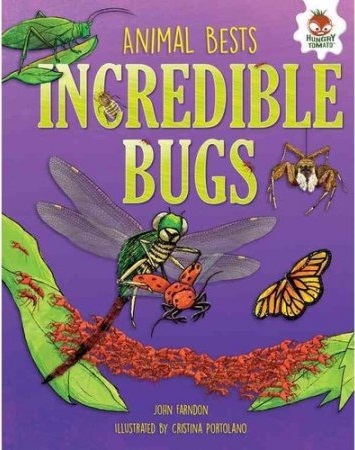 Each page introduces an insect, giving its scientific name along with notes about ecology and behavior and photos. There are text boxes noting things to look for, listen to, plus hands-on activities (how to draw a dragonfly), plus plenty of “Insect Inspector” side bars. Every few pages you’ll find an “Insect Report” focusing on specific features: wings, how to tell an insect from a “bug”, and the art of insect deception. Helpful back matter includes a photographic “Quick ID Guide”, a list of books and apps for discovering more, a glossary, and index. And all of that is in a pocket-sized guide with tough, flexible covers. The subtitle for this book is “activity journal and log book for young birders.” It is meant to be written in, drawn in, shared with friends. 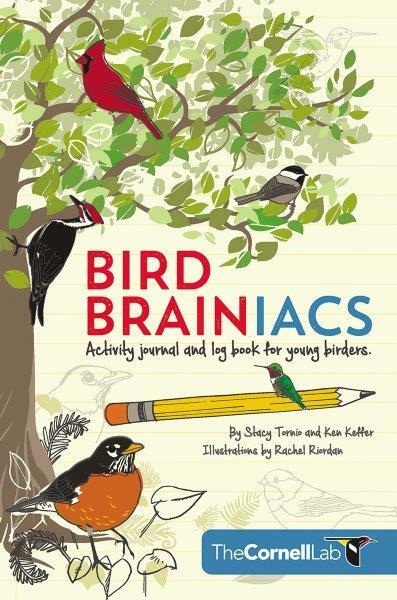 Part activity book and part birding journal, Bird Brainiacs is the perfect book to tuck in a backpack, or toss in the picnic basket when heading off to the park. There are quizzes, “mad-lib” fill-in-the-blanks, games, nature challenges, personality questionnaires, word scrambles, and bird facts. I love the hands-on science stuff: a do-it-yourself bioblitz, bird count, and nest-watching. There are enough bird-log pages to get you started on a summer’s worth of birding plus some how-to-draw pages for the doodler in us all. I know the age range is for up to 13 years, but heck, this looks like fun for the whole family.